I also had a boss once tell a room of people that he would never allow his daughter in the business because, “It just wasn’t a place for a woman.” I was the only female leader in the room. As a result, I learned about inclusion and making sure everyone feels like they are part of the team. You’ll learn something from every leader, even if sometimes it’s what not to do. 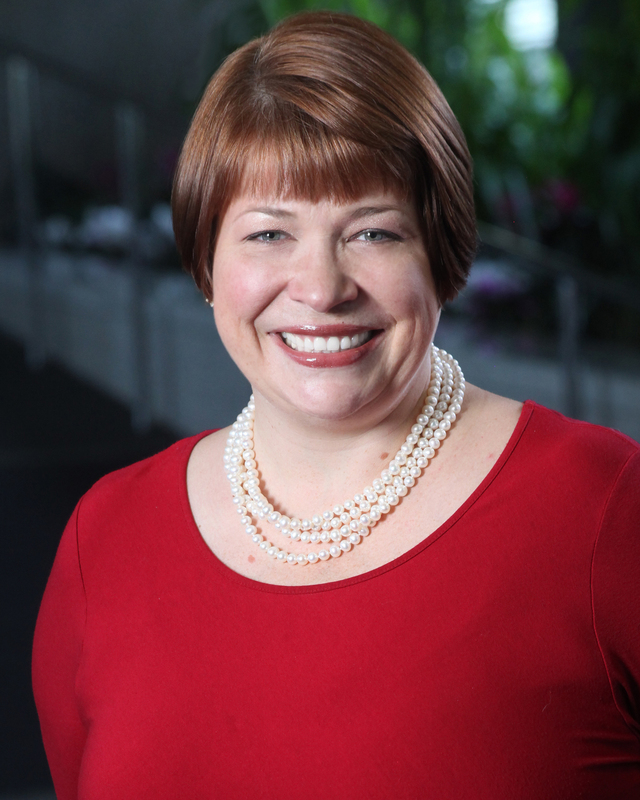 Heather Hunt-Ruddy is the head of client experience & growth for Wells Fargo Advisors. An inspiring leader, she is a dedicated wife and mother of three, mentor, presenter, community supporter and volunteer. A popular speaker (and frequent traveler), Heather presents at approximately 50 events a year. A 29-year veteran of the male-dominated wealth brokerage industry, Heather has garnered success in each of her senior roles including premier manager, complex manager, and regional president to her current position as head of client experience and growth. Her current role includes responsibility as a managing director and earned her a seat on Wells Fargo Advisor’s Operating Committee, of which there are less than 20 members. Throughout her career, Heather has earned a wealth of awards, honors and accolades but she would tell you that she feels the most pride in helping others, particularly women, achieve success and happiness in their careers. In addition to her busy work and travel schedule, she serves as an active mentor to five-10 women at any given time. In fact, Investment News just announced her as among its “2018 Women to Watch” and she will be honored at a luncheon in NYC in March. I’m the head of client experience and growth at Wells Fargo Advisors, wife to the world’s greatest stay-at-home husband (he was doing it before it became a “thing”) and mother to three children ages 15, 18 and 22. Whether my career of nearly 30 years has placed me in the field, trading desk or headquarters, one of my passions has always been to be an effective coach and mentor. I’ve often been the first female leader — market leader and complex manager, for example — in a male dominated field. I believe that I’ve been successful because I work hard. I am able to manage complex operations (including leading teams of older men) and have developed a reputation as a problem-solver. And I’d be remiss without adding that I’ve taken lots of risks to get where I am today, including moving my family across the country seven times. There are countless funny (and embarrassing) stories I could share yet I now take these instances with a grain of salt, if you will, because most people are monitoring themselves — not you. However, there is one recurring theme that I get a kick out of and that’s when people meet my husband and me socially and they immediately assume he works and I stay home with the kids. In fact, it happens multiple times a month. For me, leadership means helping to build an environment where ALL team members feel inspired to perform at their best level and are celebrated for that performance. I want my team to want to come to work and to feel “fired up” about doing their best. We spend a lot of time talking about our mission and how our work projects tie back to it. I believe it gives us purpose and goals to achieve. I have had extraordinary luck in terms of having had leaders teach me things — both good and bad — along the way. My favorite leader was a man who forced me to stop “thinking small.” For example, when I thought I didn’t have the qualifications for a job, he pushed me to have faith in my abilities and I never forgot that lesson. On the other hand, I also had a boss once tell a room of people that he would never allow his daughter in the business because, “It just wasn’t a place for a woman.” I was the only female leader in the room. As a result, I learned about inclusion and making sure everyone feels like they are part of the team. You’ll learn something from every leader, even if sometimes it’s what not to do. It was never difficult to fit my life into my career. That was a non-negotiable point for me and so I’ve always been transparent in stating upfront that I was going to be much better and much happier if my company understood that my family’s needs would always be a priority. I also was very clear with my family that my job was pretty important to all of us so they understood (and still do) that occasionally I might miss some events I’d rather not miss. However, we prioritize the important things and I am there for those. I had a mentor once tell me when I was feeling guilty about heavy work travel that I needed to understand how important it is for my children to have a remarkable mother — and I still find that talk inspiring. As my success has grown, I have definitely stopped putting my needs first because I have a limited amount of time with my children and I prioritized family. That said, I’m fortunate in that spending time with my family is my favorite thing to do. However, as my kids leave home and start their own lives, I am looking forward to doing some things that are just for me. Write down your priorities at the beginning of the year — vacations, events, classes etc. and schedule work around those priorities. A productive team requires some downtime. When you don’t take any time off, you demonstrate to your employees that they shouldn’t take time off either, which leads to burnout and employee attrition. Guilt is a dangerous emotion that should be evacuated from your mind. Give yourself permission to not feel guilty. Your family will only be with you for a finite period of time. When you’re retired, it’s unlikely you will be sitting on the porch swing surrounded by your employees. Understand that it goes faster than you think and cherish time with your family. “FOMO” or “Fear of Missing Out” is an emotion that is very real, yet I promise you’ll be just fine if go home early some afternoons or if you take a trip, for example. If you happen to not be present for a breaking event, you can catch up with it later. Put down the phone and live your life. Nothing gives me a deeper sense of accomplishment than when my mentees or my team achieve success. Just thinking about it makes me smile! I am committing my life and the remainder of my career to introduce more diversity into leadership positions. We live in a competitive world and yet, we have far too little representation of women and people of color in the most senior positions at most companies. It’s paramount that corporations who want to remain highly competitive recognize diversity as a business imperative and bring on board different thoughts and ideas. Corporate America needs to set a bigger table from a leadership perspective, so to speak.